There are many ways whereby a child custody exchange can be sent into flux. 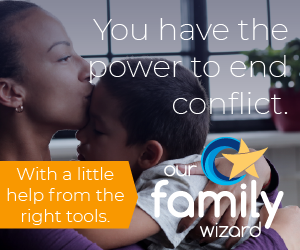 As unsettling as an outburst or other confrontation from a high conflict parent can be, high atop the list of frustrations associated with a child custody exchange is the “no-call, no-show.” It’s particularly maddening if the drive time is fairly significant. From the little details such as gas prices and wear-and-tear on your automobile right on up to managing the sense of let down and disappointment from a child expecting to see their other parent – the child custody no-show presents a bunch of problems. How do you handle a no-show at the child custody exchange? To avoid being caught in a situation where each of you have unsupported allegations of the other failing to show up for the child custody exchange (theirs, of course, being false allegations), gather evidence! Neutral exchange location. Perhaps your exchange location is at a mall, a local supermarket, gas station, convenience store, etc. Go in and buy some small item. Don’t forget to grab your dated and time-stamped receipt and keep it in your files or tape it in your child custody journal. Have your video camera handy. Be sure to record the date and the time. Have a newspaper available and record the day and date. Let the camera run the entire time you’re waiting. Have a third-party attend the child custody exchange with you. This will need to be someone who will be willing to testify on your behalf should the situation deteriorate to the point of more child custody litigation. Perform an ATM transaction and keep the receipt. It’s important that you demonstrate a fair amount of flexibility in terms of wait time past the prescribed child custody exchange time. Your child custody order may specify how long you are supposed to wait to allow for unforeseen traffic or other issues that do sometimes arise in our lives. You won’t want to necessarily act on a one-time incident, depending upon your circumstances. (If you’re in a long-distance situation with infrequent parenting time – you may definitely want to act immediately though family court.) When parents are within reasonable proximity of one another, it’s better to establish a pattern of behavior. Two, three, four or more times might be just the type of pattern you need to elicit change via a child custody modification petition. A final piece of advice: Don’t go telling the high conflict ex-spouse of your intentions. Don’t speak of what evidence you’ve gathered and how you’re going to keep doing it. Maintain low-contact. Go about your business. Do the right things. Stay in control. When the circumstances present themselves and you feel you are fully prepared to act – just act.